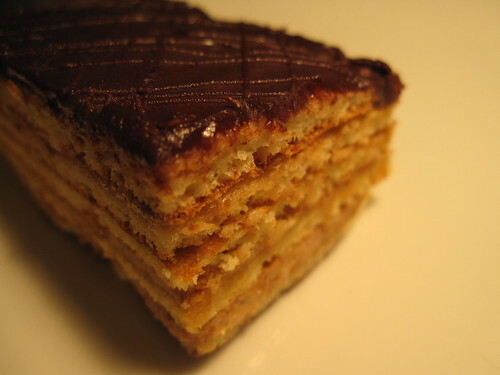 And continuing on with the ultra cheap theme for today, $1.75 will get you a slice of opera cake from Fay Da Bakery down the street. do you ladies eat every item you photograph? if so, how do you stay so slim? Cali- We do eat everything we photograph! What fun would it be otherwise? But seriously, we also share everything so it's not hoards of cupcakes we eat everyday but maybe half of one or one cookie instead of 2 or 3 at a time.